Here’s an “egg” I created for the funny and bizarre Old Spice commercial, Cinema, starring Von Miller. I was asked to design a dry, cracked egg/ pod shape that Von would punch his way out of. 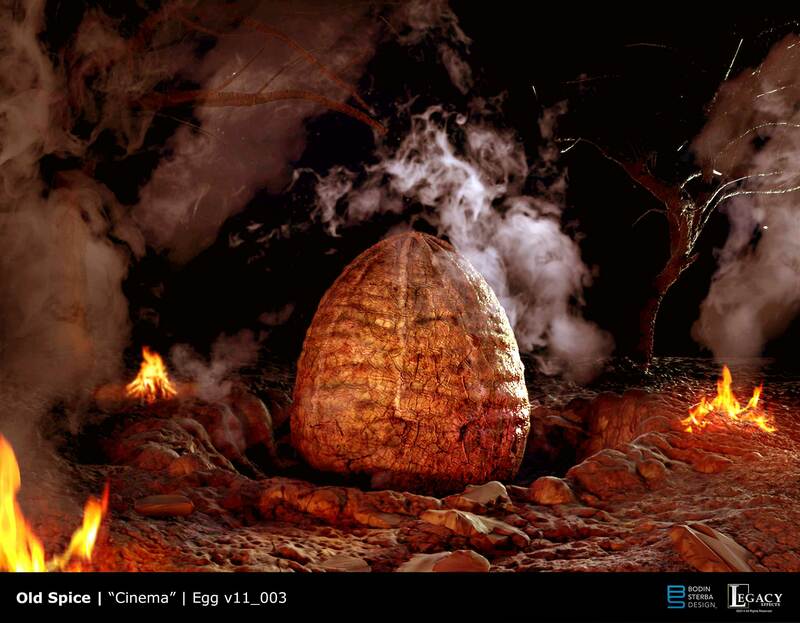 Here is the final design that Legacy Effects referenced when they built the full size egg.